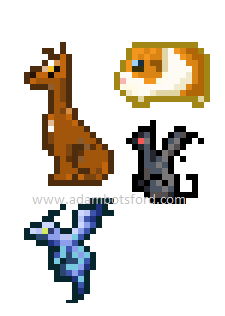 Here are some sprite pets...No that one is not Scooby Doo. It's actually my dog. Yes, she does resemble Scooby in many ways. I'm a big fan of your pixel art. Looking forward to seeing the project these are from.